A former Obama official is making threats against Ted Cruz, but we can forgive that, right? There has been a flurry of media coverage since Doug Jones won over Roy Moore in last night’s special election for the Alabama Senate. Be afraid, @tedcruz . Be very afraid. But is he referring to the midterms in November 2018 where Cruz will face the ballot box? Or is Castro here hinting that he knows of a similar operative that will take place against Cruz? The allegations against Roy Moore were thick and we still don’t have clear answers on any of them. But, we do know that Moore has said he will be bringing his accusers to court, so over the next few months and years we are likely to learn more about whether his accusers really did experience harassment or whether Moore was innocent the whole time. Ted Cruz, at least according to Steve Bannon who campaigned for Roy Moore over Trump’s Luther Strange, has indicated that Ted Cruz is the only Republican who shouldn’t fear for his seat, because of his support from both the establishment-types as well as with the MAGA crowd. I find that Bannon isn’t quite the elections genius he’s played up to be in his own press, since I think he has some fundamental misunderstandings about how information moves online, or how to harness and direct online outrage, but he is a fiery person who knows how to drum up media. 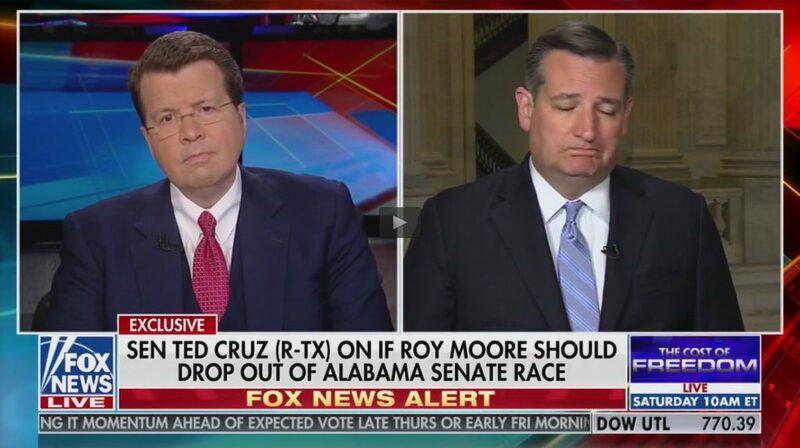 Hopefully he’s right about Cruz… it’s hard not to bet on Ted. I don’t think I’ve talked to a single conservative who has any problem supporting the man over a Democrat. After Moore lost, Trump went on Twitter to say what he has always said: That he wanted Strange to win the Republican nomination because he was not certain that Moore would be able to win in a general election. In the past, Julian Castro had been considered as a possible contender for a running mate for Hillary despite his inability to keep from breaking the laws that bound him from giving his official opinion on topics he is legally not entitled to speak about. While he was the Secretary for Housing and Urban Development, he broke the federal Hatch Act by giving an interview to Katie Couric where he went beyond his position and made political statements. After being asked about this violation, Obama said that “Secretary Castro acknowledged the mistake that he made,” because federal secretaries breaking the law while speaking to the media is just like a young child confessing to being the one responsible for spilling their finger paints on the carpet.